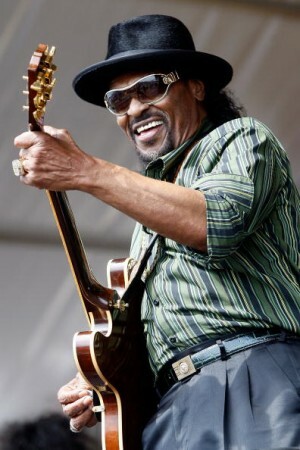 Chuck Brown is considered the “godfather of go-go,” helping to create D.C.’s genre of music. Where: Anacostia Community Museum (1901 Fort Place, SE). Why you should go: Go-go is the music of D.C., even though shows are increasingly being pushed to the suburbs. Get a history lesson on how the genre began and where it’s headed. Musicians Gregory “Sugar Bear” Elliot and Sweet Cherie are among the speakers, and Faycez U Know will perform. Other events to consider: The Smithsonian Folklife Festival wraps up Monday. The free event at the National Mall focuses on Colombia, rhythm and blues and the Peace Corps. Also, La Clínica del Pueblo is hosting a screening of “The Other City,” a documentary on racial and class disparities among D.C.’s HIV/AIDS patients. Tickets cost $15 and the event takes place 6:30 p.m., Tuesday at GALA Hispanic Theatre (3333 14th Street, NW). ← Why Everyone isn’t Connected in a Wired D.C.